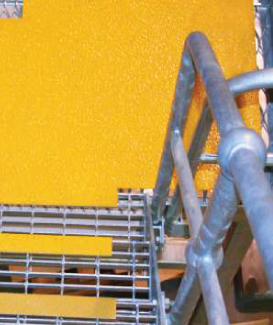 DeckSAFE® is the ultimate solution for slippery ramps, decks, catwalks and landings. 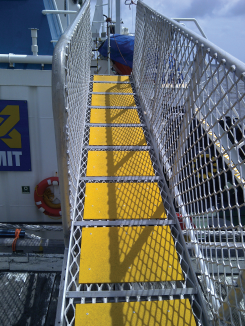 Designed to reduce the risk of slips, trips and falls in areas where oil, water and other forms of liquids are present, DeckSAFE® seriously decreases risks. 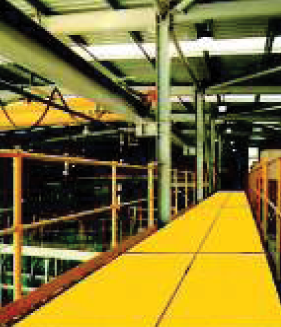 Further, standard bright yellow projects the visibility factor for greater vigilance against these incidents. 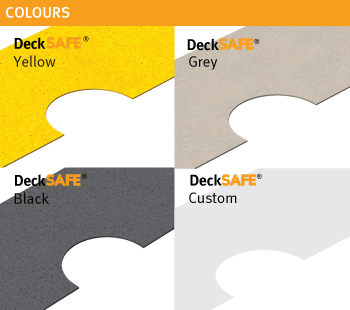 Colour matching is also available for flexibility for DeckSAFE®. DeckSAFE® also offers optional heavy duty abrasive grit to eliminate tripping hazards in more extreme oily and wet scenarios. The enhancement of employee awareness can be taken one step further with integrated signage, meaning any symbol, letter or word can be included upon request. 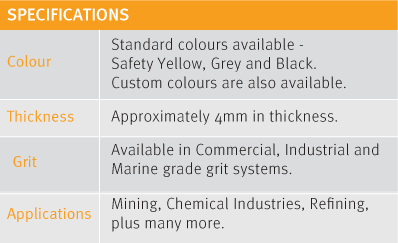 DeckSAFE® can markedly enhance the safety rating of almost any application where deployed.